I’m a baseball fan. And a San Francisco Giants fan. I watched a lot of baseball in the post-season. 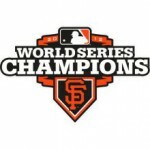 (If you’re wondering, Giants won the World Series, sweeping the Detroit Tigers in 4 straight games. But that’s not really the subject of this blog.) During many of those games, viewers were pummeled with ads for Stand Up to Cancer (SU2C), an effort to raise money for cancer research. One night during the game, MasterCard presented a check to SU2C for $4 million, and many fans and even the game’s announcers held up SU2C signs showing names of people with cancer on them. Mine might have been the only dry eyes in the country when the presentation was over. Here’s why. The story as I first heard it about how SU2C came to be has disappeared from the historical annals, replaced by the “official” version. Here’s what I heard at the time. Seems someone high up in the television business had a wife with cancer. He wondered to himself why there wasn’t a big effort to connect highly-watched TV to the cancer cause. He knew, if I remember correctly, the baseball commissioner, who agreed that the TV guy was onto something. Baseball endorsed the effort. And, since the TV guy had access to a lot of TV stars, SU2C was born. An industry it certainly is. 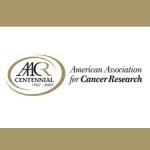 established by media, entertainment and philanthropic leaders who have been affected by cancer. The EIF describes itself as Hollywood’s leading charity. They describe their mission as “to fund ground breaking cancer research through innovation and collaboration, and to accelerate translational research to new target treatments to patients sooner.” Founded May, 2008, SU2C has so far has raised $180 million, $100 million that with its first telethon. SU2C is so bold as to say of itself: This is where the end of cancer begins. Of course, EIF isn’t qualified to do cancer research, let alone innovative and collaborative research that will translate quickly in new targeted treatments of patients. So they subbed that task out. To whom, you might wonder, since nothing in the publicity about SU2C tells you. 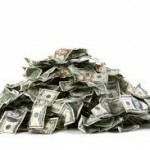 The organization that gets these gobs of money is called AACR — American Association for Cancer Research. Unless you’re in the cancer field, you’ve probably never heard of them because, until now, they didn’t do any glitzy public campaigns. Promising cures for over a century. What’s to brag about? Of course, most cancer research organizations (and there are tons of them) make the very same claims that AACR and EIF do about the kind of research they fund. They will cure cancer. Where have we heard that before? The proof should be in the outcomes of the research. What new discoveries have been made by AACR/EIF-funded scientists that are benefiting patients today with targeted therapies? Answer: None, zero, zip. And I don’t think that is only a matter of time. As I understand AACR, their focus is basic cancer research, not translational research. They fund science that looks at cells and sub-parts of cells, and sub-parts of the sub-parts of cells ad nauseum, not patients. 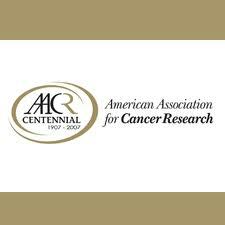 AACR is mired in the reductionism that has characterized cancer research for decades, and produced very little of use to people with cancer, relative to the money and time invested. Goodwill goes a long way. donation to SU2C? Cynical me thinks they were mostly in for the corporate good will. Stand Up to Cancer is a highly successful effort to pull at people’s heartstrings and purse strings to get them to contribute to “life saving” cancer research. If you rearrange the letters, you can think of it as a campaign 2 SUC(K) off of peoples’ fear of cancer. With billions being spent on cancer research, it’s time to re-think how we do cancer research. 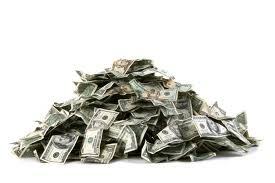 If money could solve the cancer the problem, it should be solved already. But it can’t, and it hasn’t been. It’s way past time for a new approach. This entry was posted in Breast Cancer, Medical Science and tagged AACR, EIF, Entertainment Industry Foundation, major league baseball, MasterCard, Stand Up to Cancer. Bookmark the permalink. So good to see this! But how do we get the message out to celebrities on whose goodwill the SU2C telethons depend? I think the celebrities can’t be reached. They never ask questions about the cancer groups they work for. The public has to know what’s going on, and not participate. The best way to cure cancer is to PREVENT cancer, starting with tobacco-related diseases. Smoking kills 500,000 people a year compared to drunk driving which kills around 40,000. Infants are at a much higher higher risk for sudden infant death syndrome when their parents smoke. But back to cancer- so many of our cancers are related to human behavior. Smoking and chewing tobacco cause ling, bladder, mouth, esophageal, and other typres of cancer. Overweight/obesity are risk factors for breast and uterine cancers; risky sexual behaviors increase the risk for cervical cancer (HPV); lack of exercise increases the risk for breast cancer; sun exposure and tanning booths increase the risk for melanoma. No, we can’t all live like monks and not all cancers are behavior-related but we can do more to protect ourselves. Stop smoking, get more exercise, eat your fruits and vegetables- really, it’s not that hard. All the measures you urge will not prevent cancer. They may reduce the risk of some cancers in some people. You focus on what individuals can do for themselves. My concern is what individuals cannot do alone, but can do if they join together, is take action to reduce the environmental contaminants that we are exposed to invulantarily. As far as I can tell, not much has changed in the treatment of breast cancer for the past 30 years. Do you have any recommendations as to how we can come up with a “new approach”? I have ideas, but making them happen is another thing entirely. I think it would help if all researchers committed to providing the details of the experiments and their outcomes to an open source repository. I said long ago that we should create an project like the Manhattan Project for cancer. Get the best and the brightest from all fields we can think of (even ones that are not obviously connected to cancer — astronomers, or the Secretary of State, for example), pose the questions we want answered, and fund it generously, under the auspices of the government, not a non-profit or company. These are the outlines of the idea. I think I called it the Rachel Carson Project when I was at BCA. You wrote that post in the Dec.1998/Jan 1999 newsletter. 14 years ago!!!! And still we continue with the same broken research paradigm. It would be great if BCA and other organizations could build a campaign around this concept. Well I’m not in charge there any more. Tell them, not me. I think it’s a very long shot. I have become so disillusioned and jaded about all these millions of dollars collected for Stand Up to Cancer, Run for the Cure, grocery store duns. I think it is all fake now. I think they collect money and hire employees who fiddle on computers, mostly Facebook, all day and then, drive home in Cadillac Escalades. I don’t think there is any research at all. I don’t believe any of them any more. I don’t think if they had been doing research breast cancer treatments would have evolved so little with the current primitive treatments carrying such lifetime repercussions. Another thing that infuriates me is these folks who somehow think it was my fault I got breast cancer, as if my breast cancer was related to “human behavior.” I want to tell those people to please educate yourself because one day you will get a life threatening illness and you will feel like I do now when people blame me, as in my behavior, for having caused my own cancer because I grew up on a farm with pesticides. It is ill informed, and dehumanizing. Stop using those words. Learn about how cancer genes can pass from parent to child, and mutate. Educate yourself. You may need to. I watched the documentary Pink Ribbons Inc tonight on Netflix. I am had Breast Cancer twice. I have always been offended by the pink ribbon and marketing of it but never really truely understood how to express why until now. Thanks to that documentary I have words that don’t make me look like a nasty hateful person. I have never been great at expressing myself and always felt embarassed to be called a ‘survivor’ and never could articulate why. I feel so much more normal now.